When it comes to email marketing, it’s all about open rates and more importantly, conversion rates. With competition for customers growing stronger every day among online retailers, some companies have had to look at unique and creative ways to squeeze every drop of momentum out of their email offers to entice customers to go from inbox to screen. 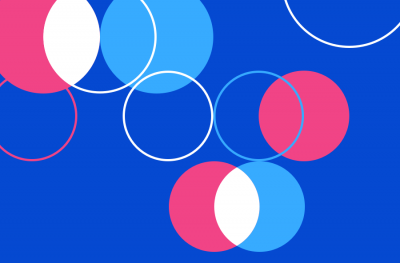 Here are four ways some of your favorite brands have done just that. 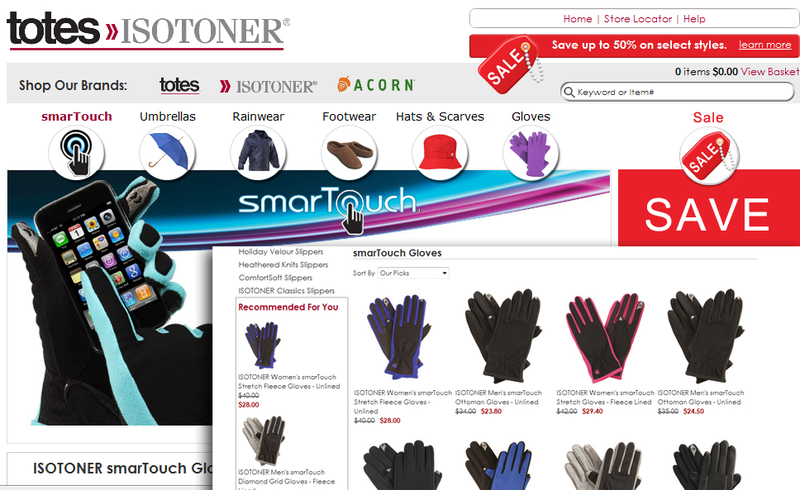 According to a report by Internet Retailer, shoppers on the Totes-Isotoner website typically visited a specific product category, such as gloves or boots. 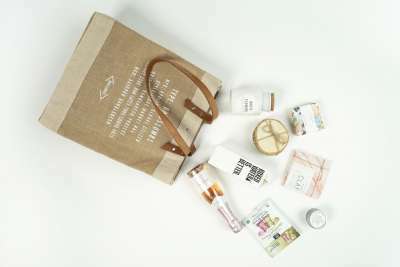 By segmenting their list accordingly and using a specialized suite of multi-channel ecommerce services, Totes-Isotoner were able to entice customers back using custom recommendations based on what they’d viewed previously. You may already personalize your email newsletters, but what about shopping cart pages, product pages or search results? A new study by E-TailingGroup, Inc. has shown that personalized emails triggered by shopping cart abandonment had the most significant impact on the retailer’s return on investment. Personalized searches and re-targeting (showing ads on another site based on your previous browsing and shopping patterns) were also shown to have provided significant conversion results. 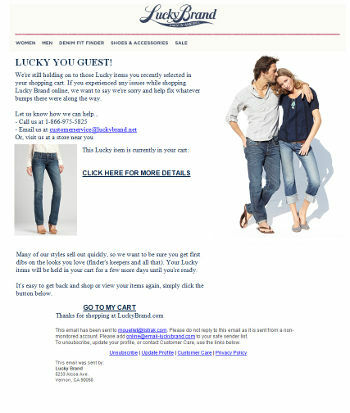 Jeans retailer Lucky Brand follows up abandoned shopping carts with three separate emails based on the time passed since they added the item to their cart. As a result, sales based on this remarketing technique jumped 300%. So maybe you weren’t all that crazy about that pair of jeans you added to your cart at Lucky Brand. 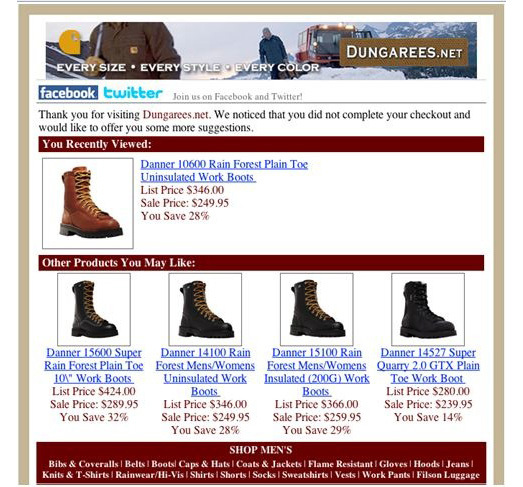 Work-wear retailer Dungarees has taken the shopping cart abandonment email one step further by not only reminding customers of what they left sitting in the virtual aisle, but also recommending some additional, related products that would match their interests. The resulting conversion rate increased 18.4% and revenue per visit skyrocketed to 500%. DailyWorth gives each day of their email broadcast a theme – such as Earn, Budget, Invest and (everybody’s favorite!) Spend. This mentally prepares them for what’s coming next, and helps DailyWorth create a steady stream of content to match those expectations. 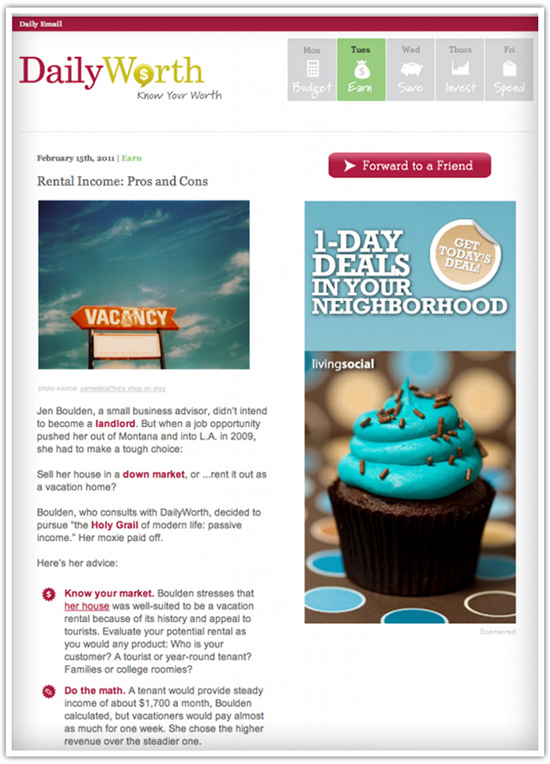 Newsletters are even visually themed to create a seamless match from day to day. Just be certain that your email marketing efforts are not a standalone push, but rather a concentrated, coordinated effort that combines your social marketing, website performance and invites subscriber participation to create something worth talking about! Segment your lists – even if you don’t have much in the way of demographic information to go on, you’ll learn your visitors’ behavior and shopping patterns as you continue to test and refine your marketing message. No one starts out with a rockstar email offer that appeals to everyone right out of the gate. Build more trust – Be relevant, interesting and creative enough to earn your way into your reader’s coveted inbox rather than into the junk folder, or that dusty old Hotmail account where all their company offers go. Combine social and email marketing efforts – With Google’s recent transition to the “plus your world” search results, there’s going to be an ever-increasing reliance on friends’ activities and recommendations. Your email marketing and social networking aren’t standalone processes anymore. 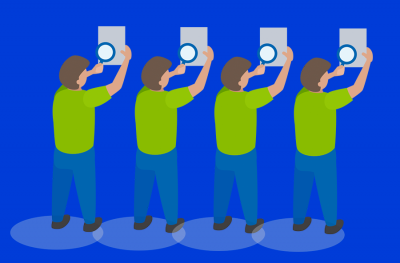 If your current email service provider isn’t catching on to that – look for a solution that does.